Connect to the sacred sounds of Tibetan Buddhism’s Bön tradition for transformation. One of the world's oldest unbroken spiritual traditions is the Bön Buddhist tradition of Tibet. This wisdom path has survived, thanks to the efforts of a handful of dedicated lamas such as Bön lineage holder Tenzin Wangyal Rinpoche. Now, with Tibetan Sound Healing, you can connect to the ancient sacred sounds of the Bön practice—and through them, activate the healing potential of your natural mind. The Bön healing tradition invokes the Five Warrior Syllables—"seed" sounds that bring us to the essential nature of mind and release the boundless creativity and positive qualities that are fundamental to it. Through the medicine of sound, you can clear obstacles in your body, your energy and emotions, and the subtle sacred dimensions of your being. 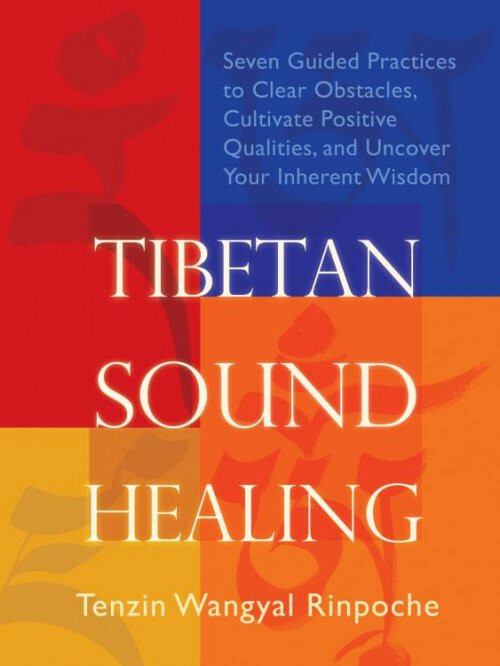 In this integrated book-and-CD learning program, Tenzin Wangyal Rinpoche gives you the tools to access wisdom and compassion and use the vibration of sacred sound to cultivate the healing power within your body's subtle channels. The spiritual heritage of the Bön is rich with methods to guide all beings on the path to liberation. With Tibetan Sound Healing, you are invited to learn from a master of this ancient lineage—and discover the power of sacred sound to purify your body, connect with your inherent perfection and completeness, and awaken spiritual virtue.